With a world agreement on climate policy scheduled for December 2009 in Copenhagen, Denmark, negotiations and blame games are reaching a frenzy. During recent EU-US bilateral talks, American policymakers criticized EU's suggestion that developed nations should cut their emissions by 30 per cent below 1990 levels by 2020 and said it is asking too much of the US. The US, the world's second-largest emitter of greenhouse gases, wants to return to its 1990 emissions level by 2020, which would represent a 14 per cent reduction from current levels. The EU delegation was in Washington to persuade the Obama administration on measures to avert climate change for the post-Kyoto climate policy framework. Meanwhile, the UN has accused EU leaders of shifting the goalposts in global talks on climate change.The EU had agreed at the Bali climate summit in December 2008 to bankroll clean technology in developing countries if they agreed to take appropriate actions to curb emissions growth. However, secretary of the UN Framework Convention on Climate Change (unfccc), Yvo de Boer, said EU leaders are now asking for more action for their money. They want developing countries to produce plans to cut emissions across their entire economy before getting help. China reacted sharply to a US proposal suggesting imposition of carbon tariffs on countries that do not set binding caps on greenhouse gas (ghg) emissions. At a recent meeting of major emitting nations at Washington, China's top climate change negotiator Li Gao said his country should not pay for cutting emissions caused by the high demands of other countries. Instead, he proposed, importers of Chinese goods should pay for the greenhouse gases emitted during their manufacture. Gao said up to 25 per cent of China's ghg emissions--the highest in the world--were the result of exports. Li warned imposing carbon tariff would be a "disaster" and since it does not conform to World Trade Organization agreements, it would prompt a trade war. Soon after Li's comment, speaking before the US House of Representatives, US energy secretary Steven Chu said since the Obama administration plans to introduce mandatory emissions reductions scheme in a couple of years, a carbon tariff would level the playing field and protect the US industry. 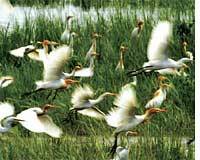 Nearly 30 per cent of China's wetlands have vanished between 1990 and 2000, said Peng Gong, an environmental scientist from the University of California, the US. He has prepared the only comprehensive wetlands map China has. Gong prepared the map while tracking migrating birds, suspected of spreading bird flu, which often spend summers or winters in wetlands. Gong used Landsat satellite imagery of China taken between 1990 and 2000 to identify the wetlands and found in Heilongjiang Province's Sanjiang plain alone, the wetlands have shrunk by more than half. "This is the place where endangered red-crowned cranes spend their summers...It's a huge threat," said Gong. Most of the wetlands have been converted into farmlands, he said. 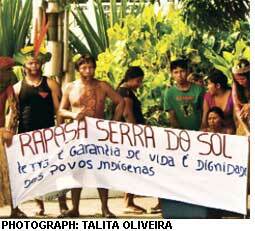 It was a major victory for indigenous groups from the Amazon forests. Brazil's top court, on March 19,confirmed the borders of a vast native reserve, paving the way for eviction of commercial rice producers from the area. The court upheld a presidential decree that the 1.7 million hectare Raposa Serra do Sol reserve in Roraima province must be returned intact to 19,000 indigenous people belonging to the Macuxi, Wapichana, Patamona, Ingaric and Taurepang ethnic groups. In 2005, President Luiz Incio Lula da Silva signed a decree creating the reserve. Indigenous land, "occupied since remote times," is "inalienable," and native rights to that property do not expire, said one of the judges. Without these rights, native peoples are exposed to the "extremely serious risk" of "cultural disintegration, the loss of their ethnic identity, and the dissolution of historical, social and anthropological ties," he said. "The ruling gives recognition to indigenous culture in the eyes of the entire world, by permanently defining the property of indigenous peoples," said Dionito Jose de Sousa of the Roraima Indigenous Council. Activists termed the fifth World Water Forum that culminated in Istanbul, Turkey, on March 22 a corporate-driven fraud. Without any binding recommendations, representatives from 100 countries pledged to strive for clean water and sanitation for billions in need and fight drought and floods. Some countries tried to beef up the statement so that it recognized access to safe drinking water and sanitation as a basic human right, rather than a basic human need, which was the final text, but they were blocked by Brazil, Egypt and the US. The weeklong conference was also marked by protests. Turkish civil society organizations took the opportunity to criticize the government's current water policies promoting dams and protested; Turkey plans to build 600 dams in this decade. Twenty dissenting countries led by Uruguay--the first country to recognize water as a fundamental right--signed a separate statement calling for an alternative, legitimate forum led by the UN. Critics say the forum's organizer, World Water Council, is dominated by private water corporations, which compromises its legitimacy. In the US state of Colorado, rainwater belongs to those who have bought the rights to waterbodies. As the south-western region of the US is headed for drier days, legislators have appealed to the state government to change the law and allow people to harvest rainwater. Under the law, dating to the late 19th century, rain that falls on the ground is supposed to flow unimpeded into surrounding creeks and streams to become the property of farmers, ranchers, developers and water agencies that have purchased the rights to those waterbodies. Residents who collect rainwater even for their gardens are violating the law. More than 60 kilometres of Australian coastline were blackened and declared a disaster zone after a cocktail of oil and chemical fertilizer spilled from a cargo ship in cyclonic weather on March 11. Thirty-one containers filled with 620 tonnes of ammonium nitrate toppled from the vessel Pacific Adventure in wild seas off Moreton Island in Queensland state. The damaged vessel also leaked 30 tonnes of fuel into the sea. Authorities declared disaster zones on Sunshine coast, a popular tourist spot, Bribie island and Moreton island, a marine sanctuary. 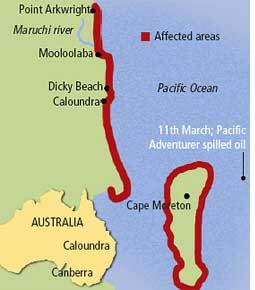 The state premier dubbed this as the worst oil slick in the country's history. By March 21, the state government claimed it had cleared half of the oil slick and opened parts of the Sunshine coast to the public. Officials from the Queensland environmental protection agency, however, said it may take years for the region's marine ecosystem to recover from the oil spill. Leakage of hundreds of tonnes of fertilizer could create toxic algae blooms, suffocate marine life and destroy natural habitats. The Ecuadorian government shut down the country's leading environmental organization, Accin Ecolgica, withdrawing its legal status. 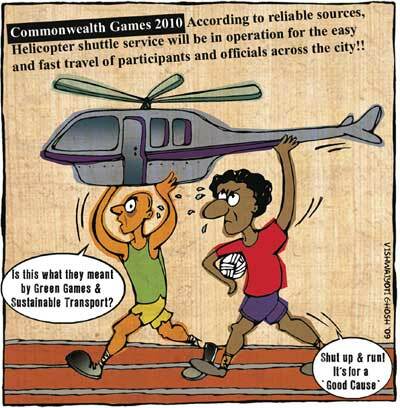 The government said, Accin Ecolgica has "breached the purpose for which it was created". The non-profit had in recent months supported indigenous-led mass protests against President Rafael Correa's initiatives for large-scale mining. Following worldwide criticism, the government said Accin Ecolgica's licence has been cancelled because it is registered under the health ministry. It has to be registered under the environment ministry--a body that did not exist during Accin Ecolgica's founding 20 years ago. Ecuador's environment movement is one of the Latin America's strongest.